Luci Barker: New in for January | Beauty Haul. Another month of me supposed to be on a spending ban hasn't exactly gone to plan, and I ended up spending quite a bit of money this month, probably even more than I would if I wasn't on a spending ban ... oops! But, I love hearing about the new bits in peoples makeup collections, so I thought I would share the few beauty bits that I purchased throughout this month. You will probably see all the holiday clothes that I also picked up in my holiday post (which will be coming when I get back) or over on my Instagram. The first product that I picked up is the Revolution Supersize Conceal & Define Concealer in the shade C3. I absolutely love this concealer, it's my go-to for everyday use and more glam looks. I know some people will think that because this concealer is full coverage, that it could be too much for an everyday concealer, however a little does go a long was. I recommend using a damp beauty blender to take away any excess product and then baking to set the concealer in place and it'll stay looking flawless all day. Is that a new makeup sponge I see? 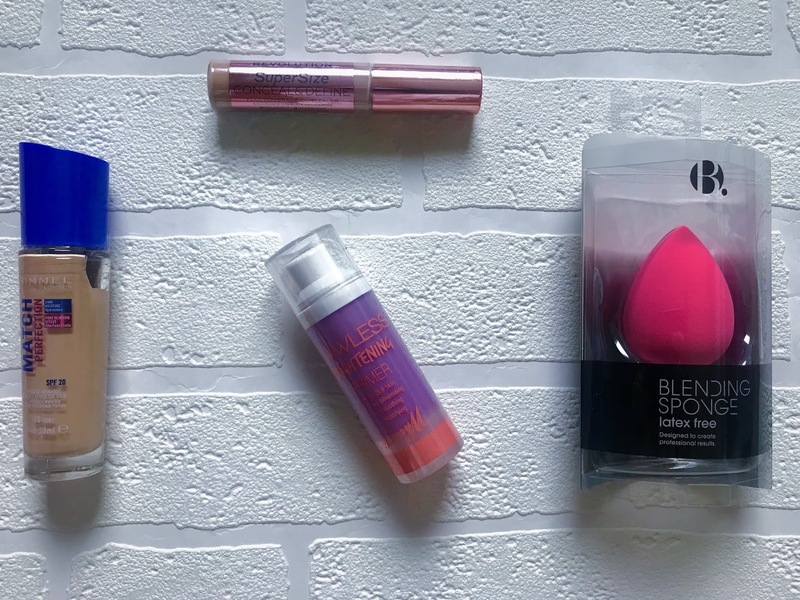 I then picked up the B. Blending Sponge from Superdrug. I haven't heard anything about this sponge, but as I was in need of a new one and didn't really fancy spending too much money on a Beauty Blender right now, I thought this one would do the job for a bit AND it was only £4.99. Could this mean that I'm continuing my Makeup Sponge Review series? I guess you'll have to wait and see. I decided to pick up the Barry M Brightening Primer because a few months ago I did try out the Green primer from this range (not sure the name of that one tho) and I really liked that one. But this time I'm more in need of a brightening primer and one thats going to fill in the pores, instead of covering redness and I hope I like this one just as much as I did with the other one. I'm always looking to try new primers, so if you have any recommendation then please let me know in the comments below! I hardly buy high end foundations as I think drugstore ones can do such a good job without having to break the bank and this Rimmel one proves that. I've tried a few of the Rimmel foundations before and absolutely love every one of them and I don't think I have tried this one out yet, so I thought I would pick it up and try it out. After a few uses I can tell you that this deffo lives up to expectations. It has really good coverage, the colour matches almost perfectly, it looks great all day and doesn't seem to be sticking to my dry patches! 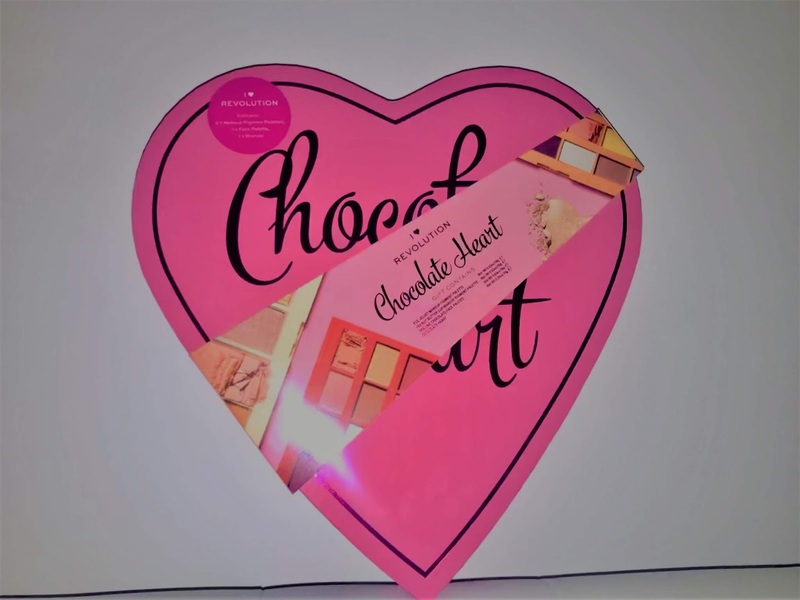 I decided to pick up the Chocolate Heart by I Heart Revolution after seeing one of my friends talk about this in one of her YouTube videos (her channel is makeupwithalixkate) and after seeing that it was in the sale for JUST £15, how could I resist? In the gift set you receive a Chocolate Heart Shimmer Bronzer, a Red Velvet Eye Shadow Palette, the Peanut Butter Cup Eye Shadow Palette (which I'm extra excited to get playing with) and also the Praline Face Palette. I absolutely love Revolution's Products as they're so affordable yet have such amazing quality and are even better than a lot of the high end beauty brands out there ... no shade meant haha. The Chocolate Heart is still on sale for £20 and if you fancy, you can check that out by clicking here! Thankyou so much for taking the time to read about my latest beauty buys and I'll see you soon for another post.